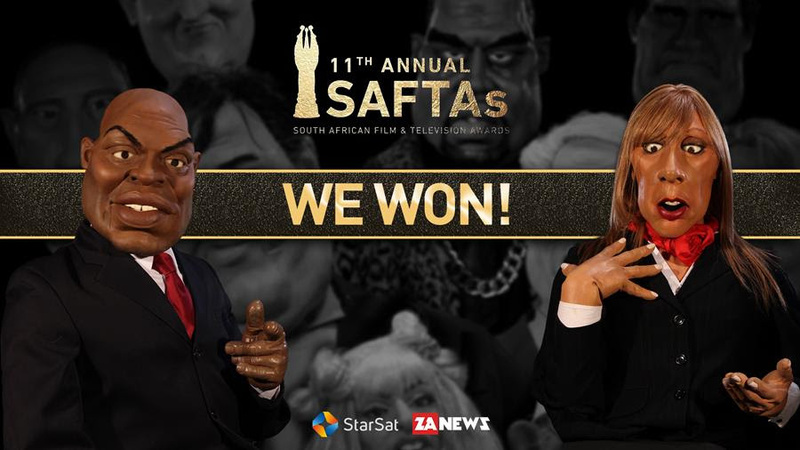 ZANEWS also known as Puppet NationZA, South Africa’s satirical puppet news show produced by Both Worlds, was proud to hook and land, three SAFTA awards at a ceremony held in Johannesburg on Saturday (5 April 2014). 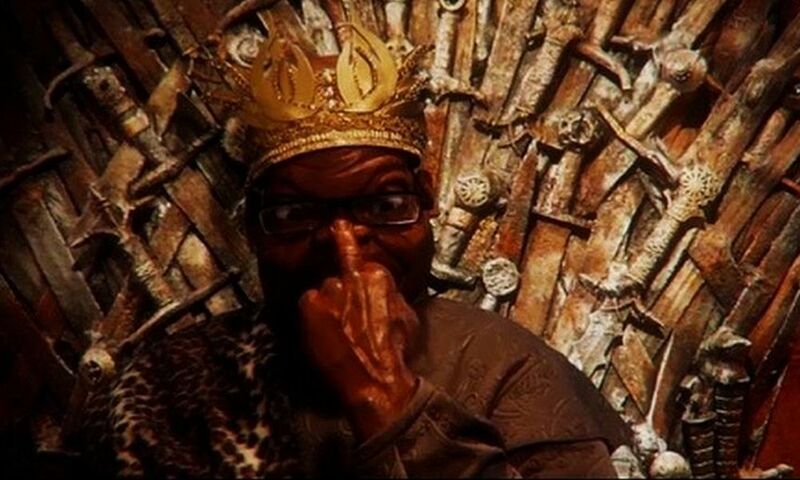 The actors, writers, editors, puppeteers, puppet-makers, crew and producers of ZANEWS (Season 5) are honoured to share the Awards for Best TV Comedy, Best Writing Team of a TV Comedy and Best Directors of a TV Comedy. 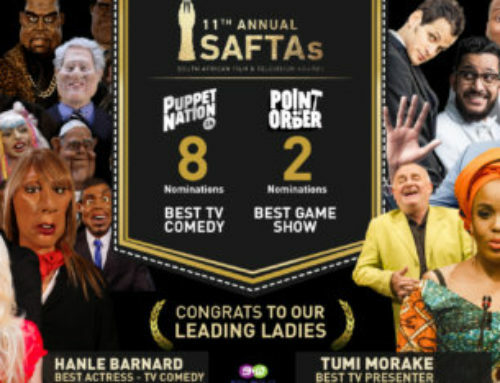 However things were not always so easy, after an uphill battle to secure support and distribution, producer and co-creators Thierry Cassuto and Zapiro, say that winning and being nominated by most major South African digital, film and TV, music, news and stage awards is testament that there is an appetite for quality satirical comedy by a vast number of viewers. 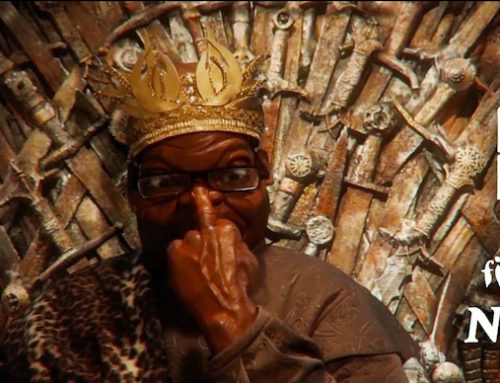 At the ZANEWS studio, puppet stars from the show had this to say: Oscar Pistorius: “A scream!” – Debora Patta: “Gorgeous news anchors!” – Gwede Mantashe: “Nononononono!”. 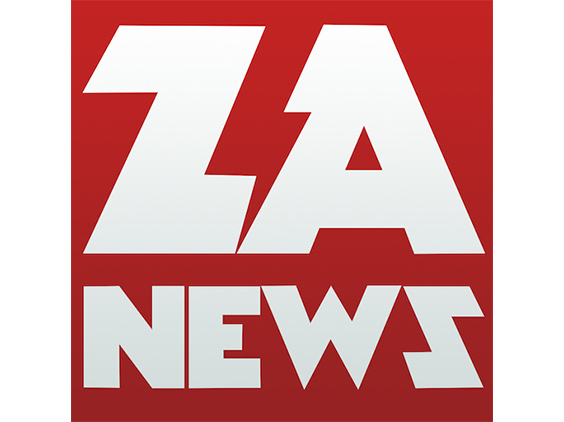 Now in its sixth season, ZANEWS is broadcast weekly on StarSat’s, Star One (channel 110) on Saturdays at 21:00 and 20:00 on Sundays. 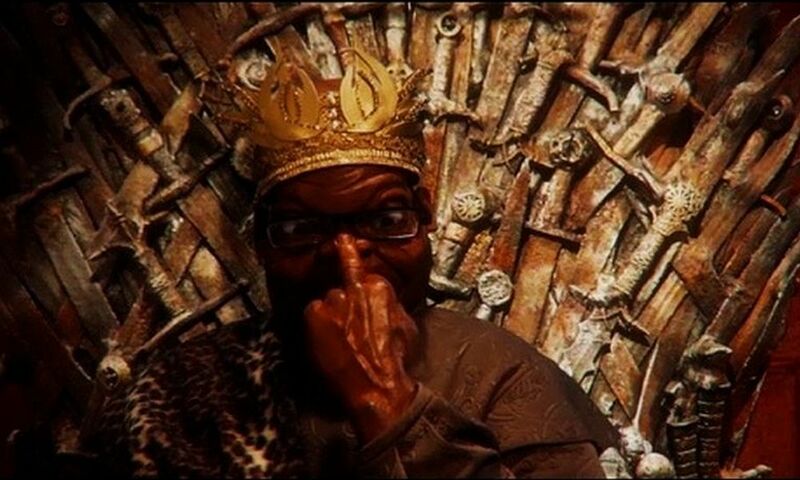 It is also available daily via the web and mobile at www.zanews.co.za, YouTube, DailyMotion, the iTunes store, as a comic in The Big Issue magazine and on DVD at Ma Khumalo’s tuck-shop at Nkandla. StarSat is an affordable, satellite pay-TV network, proudly bringing digital TV into more homes across South Africa. StarSat offers its subscribers three world class value for money packages, from just R99 to R199 per month, making digital TV available to everyone. With more than 100 channels on offer, subscribers have an excellent choice of movies, series, drama, news, knowledge, family, sport, kids, music and cultural programming. For Indian viewers, StarSat offers StarSat Indian as an add on package at only R99. Viewers can enjoy nine dedicated channels in Tamil, Hindi and English, featuring only the best from Bollywood, Indian glamour, entertainment, news and topical issues. Chinese viewers have access to 17 dedicated Chinese channels – drama, news, movies and Kung Fu available as a standalone Chinese package for R199 per month. StarSat is the brand that replaced TopTV and was officially launched on 31 October 2013, by On Digital Media (Pty) Ltd. StarTimes has a 20% stake in ODM. StarTimes is the worldwide technology company, established in 1988 in China, and has licences and registered companies in 10 other African nations. Both Worlds, founded by Thierry Cassuto in 1997, is a Cape Town based multimedia production and distribution company, which develops, trains and supports local talent and leverages digital technology to take the best of South African creativity to local and international audiences. 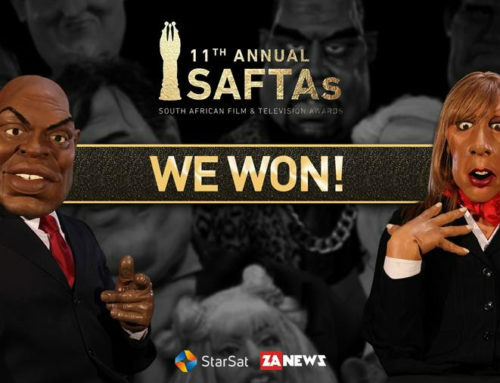 The SAFTA Awards were created to honour, celebrate and promote the creativity, quality and excellence of South African Film and Television talent and productions, and serve to encourage entrepreneurship and the development of new talent within the industry. 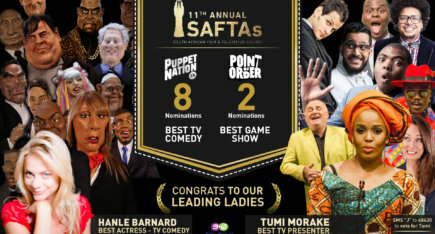 Since its inception, there have been six South African Film and Television Award (SAFTAs) sessions, each handing out over 70 awards.